Porsche Canada has relocated its corporate headquarters to a new facility in Toronto, between two major arteries in the Greater Toronto Area. The new location is at the northeast corner of highways 401 and 404. Since 2009, the automaker’s Canadian head office had been located in the neighbouring city of Mississauga. The move will allow the brand to benefit from a dedicated space, which will also house its first training centre in Canada, with two work bays, for Porsche Centre personnel nationwide. The facility is on the same site as the brand new Porsche Centre North Toronto. 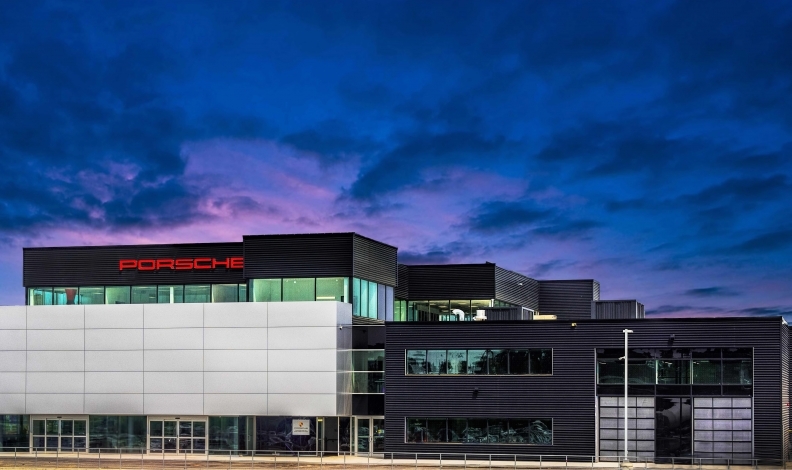 “Our new Canadian headquarters now incorporate a dedicated training facility which will enhance the level of service we provide to our dealer personnel, further supporting the brand’s commitment to the Canadian market and customers,” Porsche Cars Canada Ltd. CEO Alexander Pollich said in a statement. Porsche Cars Canada, Ltd., a dedicated subsidiary of Porsche AG, imports and distributes Porsche vehicles in Canada. The company employs a team of more than 40 in sales, after-sales, finance, marketing, and public relations. In 2016, Porsche sold a record 7,061 units in Canada. Sales that year were up 10 when compared with the year before.